Toggi Chestermere Socks contain three pairs of differing designs, all of which have a padded sole for extra comfort and warmth. 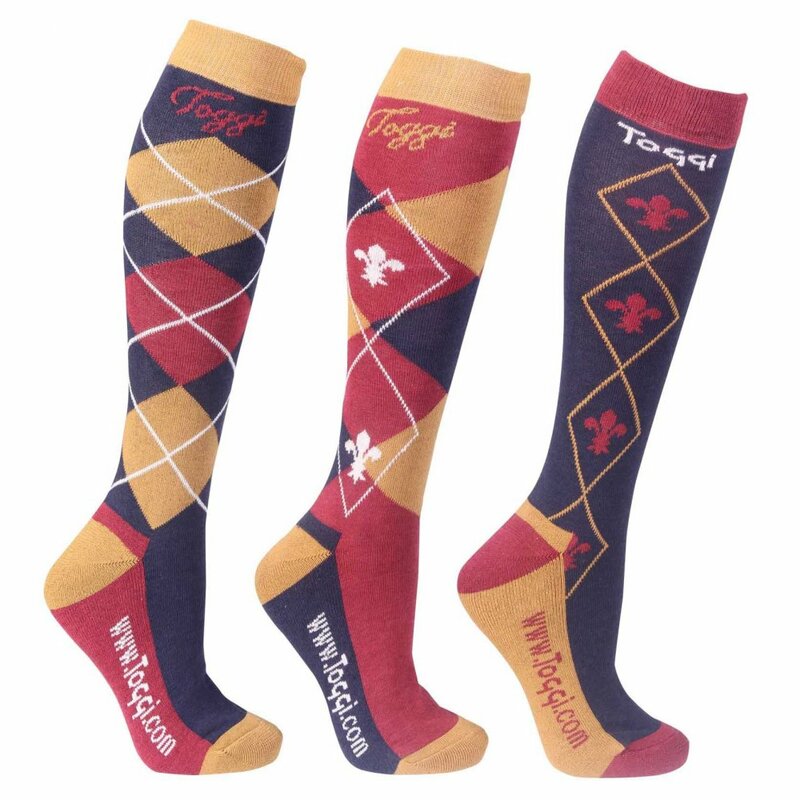 The designs of these socks includes argyle and fleur de lys styles with contrast sole and heel detailing. Toggi Chestermere Socks are finished off with Toggi branding and are anti-bacterial to help keep feet and shoes smelling fresh.